Ever Had An Unexpected Plumbing Emergency? A plumbing emergency can happen, but they’re never appreciated. Having your ‘normal’ turned upside down can be a stressful and frustrating thing. As such, our emergency plumbers are always here to help. Nobody likes calling their plumber. Though we take pride in our ability to help when a toilet clogs or a pipe bursts, we prefer providing you with the tools to help prevent these things from ever happening. A regular maintenance routine is a great and simple way to prevent disaster from striking. In the past, we’ve supplemented useful advice with helpful tips on how to inspect and clean your plumbing and drainage system. 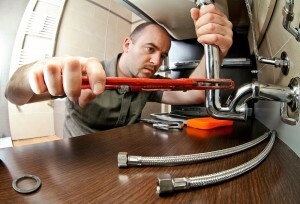 No plumbing license required – novice and expert DIY-ers alike can do most of what we suggest. Sometimes, however, it isn’t what you do but what you don’t do to your plumbing that matters the most. Today, we’d like to help you break some unhealthy habits that could be putting your system at risk. A lot of our ‘do not’s’ are actively combatting the techniques, lessons, or common rules of thumb that no bearing on your plumbing’s wellbeing. What Are The Definite Dont’s In A Plumbing Emergency? The Internet can be a very useful resource. But that does not mean you should consult it every single time, especially during an emergency. Essentially, don’t believe everything you read online. It’s tempting to type into your search bar for the answers to your questions. Unfortunately, your queries aren’t always resolved by an expert plumber. You could very well be getting advice from a fellow DIY-er. DIYs typically provide an immediate solution, one that may sacrifice the long-term health of your plumbing system for more time. Don’t get us wrong. DIYs can be helpful and useful depending on what the problem is. But to be on the safe side in preventing a plumbing emergency in the future, it’s best to consult your professional plumber on the most beneficial and unharmful methods or to take more mindful advice from websites who are written or monitored by experienced plumbers. DON’T pour hot water into your toilet bowl. This may seem obvious to some, but for those who have frantically Googled ways to unclog a toilet, it’s not so strange of an idea. It’s a common misconception that hot or boiling water should be poured down the toilet in an attempt to loosen up whatever caused the clog in the first place. It may very well do that, but side effects include the ability to damage your toilet. The porcelain of the bowl wasn’t made to handle high temperatures, so boiling water can actually crack its material, which is much harder to fix than a simple clog. DON’T store heavy belongings over your sinks or toilet. If they should ever fall, they can end up cracking, chipping, or denting your sink or toilet bowl. Stranger things have happened than a shelving unit collapsing – trust us! DON’T use drain cleaner when trying to clear a clog. These liquid chemicals may be easy to find at your local hardware store, but they have no business coming into your home – let alone down your pipes. The harsh chemicals in these solutions are harmful to your pipes, the environment, and to you! The hydrochloric acid used to eat away at clogs will also corrode your pipes and create an even bigger mess down the line. This acid is severely dangerous if it’s inhaled or ingested, and it will stay in landfills and water supplies far longer than you’d think. Again, a lot of people consult the Internet for a variety of problems, plumbing included. While there are helpful tips in the massive pool of educational articles, keep in mind that these tips may not work for you or your system. A lot of written content gets continuously filtered as writers consult to it and take what they read into their own words. While the main message and main points will be reiterated, they might miss on small and crucial details. Therefore, be mindful what you read online and consult your local plumber if it’s an action safe to take to prevent calls. Now that you know what not to do, it’s time to know what you can do. In case your toilet or sink clogs, pick up the phone and give one of our expert plumbers a call. They’re available any time of the day or night to help you with your plumbing disasters. No overflowing toilet or bubbling sink will go unfixed – even if it happens in the wee hours of the morning. With knowledgeable and friendly service, we make our visits as quick and efficient as possible, so you can get back to normal again. So give us a call when your maintenance fails to stop an emergency. We’ll be there!